Organized through the Center for the Study of Southern Culture, the African American Studies Program, Center for Civil War Research, and the Department of History, the Gilder-Jordan Speaker Series is made possible through the generosity of the Gilder Foundation, Inc. The series honors Richard Gilder of New York and his family, as well as Dan and Lou Jordan of Virginia. James Oakes, one of the leading historians of nineteenth-century America, has an international reputation for path-breaking scholarship. In a series of influential books and essays, he tackled the history of the United States from the Revolution through the Civil War. His early work focused on the South, examining slavery as an economic and social system that shaped Southern life. His pioneering books include The Ruling Race (1982; 2nd ed., 1998); Slavery and Freedom: An Interpretation of the Old South (1990); The Radical and the Republican: Frederick Douglass, Abraham Lincoln, and the Triumph of Antislavery Politics (2007); and his latest, Freedom National: The Destruction of Slavery in the United States, 1861–1865 (2012). The latter two garnered, respectively, the 2008 and 2013 Gilder Lehrman Lincoln Prize, an annual award for the finest scholarly work in English on Abraham Lincoln or the American Civil War era. An alumnus of Baruch College, Dr. Oakes holds M.A. and Ph.D. degrees from the University of California–Berkeley. He has been on the faculty of the Graduate Center since 1997 and the holder of the Graduate School Humanities Chair since 1998. 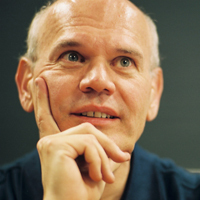 Before coming to the Graduate Center, he taught at Princeton and Northwestern Universities. Dr. Williams is the John L. Seigenthaler Professor in American History at Vanderbilt University. 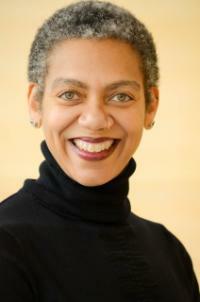 She is the Founder & inaugural Director of the Social Justice Institute at Case Western Reserve University, as well as the Founder & inaugural Director of the Case Western Postdoctoral Fellowship in African American Studies. The author of Concrete Demands: The Search for Black Power in the 20th Century (2015) and the award-winning The Politics of Public Housing: Black Women’s Struggles against Urban Inequality (2005)Williams has been honored by History News Network as a Top Young Historian; the Organization of American Historians as a Distinguished Lecturer; and is listed in the 2009 and 2015 editions of Who’s Who in Black Cleveland. Williams is a recipient of an American Association of University Women Postdoctoral Fellowship and a former Harvard University W.E.B. Du Bois Institute Fellow. She is the co-editor of the recently launched book series, Justice, Power, and Politics, with the University of North Carolina Press and co-editor of Teaching the American Civil Rights Movement. Her publications include articles on black power politics, the war on poverty, low-income black women’s grassroots organizing, and urban and housing policy. Her research interests include the manifestations of race and gender inequality on urban space and policy, social movements, and illicit narcotics economies in the post-1940s United States. Williams received her PhD in history from the University of Pennsylvania in 1998 and her undergraduate degree in journalism from the University of Maryland College Park in 1989, where she became that university’s first black salutatorian in its then 187-year history. In Cleveland, Ohio, Williams was engaged in local community efforts, including police and criminal justice reform as a member of the Collaborative for a Safe, Fair, and Just Cleveland, the “Cleveland 8,” and the Cleveland Community Police Commission. She has appeared on MSNBC and Democracy Now! She is a Baltimore native. Ayers has received a presidential appointment to the National Council on the Humanities, served as a Fulbright professor in the Netherlands, and been elected to the American Academy of Arts and Sciences. Watch an interview of Professor Ayers by Center Director and Professor of History and Southern Studies Dr. Ted Ownby. Watch the lecture here. Theda Perdue is the Atlanta Distinguished Professor Emerita of Southern Studies at the University of North Carolina, Chapel Hill, where she taught American Indian history in the history, women’s studies, and American studies departments. She holds a Ph.D. from the University of Georgia. Perdue is author, co-author, or editor of sixteen books including Cherokee Women: Gender and Culture Change, “Mixed Blood” Indians: Racial Construction in the Early South, and Race and the Atlanta Cotton States Exposition of 1895. She also has appeared frequently as a talking head in documentary films. She has held fellowships from the Rockefeller Foundation, the Newberry Library, the National Humanities Center, the Woodrow Wilson Center, and the John Simon Guggenheim Foundation. 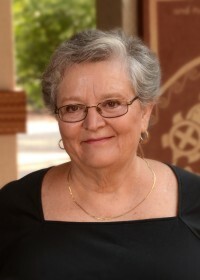 Perdue has served as president of the Southern Association for Women Historians, the American Society for Ethnohistory, and the Southern Historical Association. She is an inveterate traveler, especially by train, and in 2009 she and her husband went around the world by land and sea, a trip that included crossing Europe and Asia by train and the Pacific by freighter. Her current book project is on American Indians in the segregated South. Watch an interview of Dr. Perdue by UM Assistant Professor of History Dr. Mikaela Adams. See Perdue’s lecture “Indians and Christianity in the New South” here. Dr. Hall’s lecture, “How We Tell About the Civil Rights Movement and Why It Matters Today,” was September 24 at 7pm in Nutt Auditorium on the UM campus. Watch an interview of Dr. Hall by UM Assistant Professor of History and Southern Studies Dr. Jessie Wilkerson. Watch an interview of Dr. Johnson by UM Assistant Professor of History Dr. Deirdre Cooper Owens here. Watch an interview of Professor Hale by UM Professor of History and Southern Studies Dr. Ted Ownby here. Watch the 2011 lecture in full or watch an interview of Dr. Blight by UM Professor of History Dr. John Neff here.